Knowing how to do effective cardiopulmonary resuscitation can mean the difference between life and death. Learn the skills to save a loved one, friend or stranger by enrolling in a Canadian CPR course in the Toronto metropolitan area with Toronto First Aid. This provider offers a number of courses including Ontario WSIB approved standard, emergency and childcare first aid. These courses come partnered with CPR training or CPR certification can be provided in a stand-alone format. 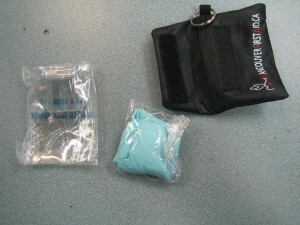 Three popular level’s are available for Canadians and they are CPR level “A”, “C” and “HCP”. Basic and advanced life support training and certification is available. All of the above mentioned courses include automated external defibrillator (AED) training. On-line safety, private and re-certification classes are also available. Toronto First Aid is the largest, lowest priced and highest recommended training provider in the Toronto metropolitan area. To register for a Canadian CPR, first aid, AED, on-line safety, food handling or re-certification course use the contact information posted below. Trainees are also encouraged to complete their enrolment via e-mail, telephone call, or walk-in during business hours in any of Toronto First Aid’s training centres. If you want to reach Toronto First Aid, you can use the information below. 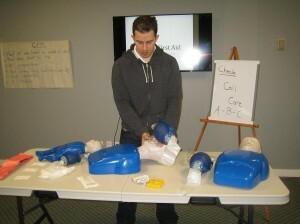 A complete list of available classes can also be found on the Toronto First Aid website. Learn about these topics and more when you enrol in a CPR course with Toronto First Aid. All classes are taught and overseen by St Mark James instructors. Training facilities are very high-end, equipped with the latest training implements such as AED trainers and mannequins used in the CPR and first aid training classes. The training centres are easily accessible, within walking distance to free parking, public transportation, and restaurants. As a first aid rescuer, you should be aware of the different opportunistic infections that a person with HIV infection or AIDS is susceptible to acquire. Participants enrolled in Canadian CPR courses in Toronto, Ontario will learn various methods of disease transmission to prevent the spread of disease while providing aid.